The recent dry spell we've had the past couple of weeks will soon be coming to an end later today/tonight. A cold front currently in northwest Iowa will edge closer to the Great Lakes later today. A line of showers and storms have been ongoing this morning and will continue to move east and reach the Rockford region later this afternoon. The front will then stall tonight and Wednesday keeping the threat for rain during that time frame. While this will more than likely not be a continuous event, any storms that do move through will have the threat of bringing heavy rainfall. The image to the left is from the Hydrometeorological Prediction Center and shows a two day rainfall total. While the heaviest of the rain may very well stay to the southwest it's not out of the question that we could end up with two inches in some locations by the time Thursday night rolls around. Since it has been relatively dry, the ground should be able to soak in a decent amount of rain before worrying too much about flooding. Hurricane Earl continues to spin in the Atlantic as a category four hurricane with winds of 135 mph and moving west/northwest around 13 mph. Earl will more than likely keep it's strength over the next day or so but begin to move into an environment with a little more shear which could cause it to weaken some towards this weekend. The current forecast has Earl brushing past the Carolina's northward by sometime Friday. A trough (dip in the jetstream) will begin to move into the Great Lakes later this week and bring us a cool down but help steer Earl away from the east coast. However, if this trough slows some Earl could make more of a progression westward which would bring a bigger impact on the Mid-Atlantic. Either way, a hurricane watch will more than likely be issued for the Mid-Atlantic later today. High pressure is stuck along the east coast because of Hurrcane Danielle blocking eastward movement out in the Atlantic. A plume of moisture is funneling along the backside of the high pressure ridge from the Gulf of Mexico up the Mississippi Valley northward across Illinois. Dewpoints have risen into the middle to upper 60's, and cumulus clouds have developed this afternoon around 4,000 feet. With only limited moisture so far near the surface, and lacking a good trigger, no showers or thunderstorms are expected tonight or early tomorrow. After temperatures reaching into the low 90's this afternoon, temperatures will drop back into the upper 60's tonight, and skies will be mostly clear again. With a good brisk southerly wind on Monday moisture levels will increase, and with a weak disturbance moving northward in the flow, there will be a slight chance of thunderstorms on Monday afternoon along with warm temperatures reaching the middle to upper 80's. Chances of thunderstorms will fade Monday evening with the loss of afternoon heating, and skies will be partly cloudy overnight. It will be unseasonably warm and humid ovenight with a low temperature near 70 degrees. Tuesday will be a dry, but a very warm and humid day as we wait for the next system to have and impact on the Stateline. Afternoon high's will be in the upper 80's, and depending on the amount of sunshine, it is possible that 90 degrees will be reached again. On Tuesday night the blocking high on the east coast will give some ground allowing a front stretching from northwestern Wisconsin through northwestern Iowa to western Kansas to make some headway`eastward reaching the northwestern tip of Illinois by 6 am Wednesday. With deep moisture funneling northward into northern Illinois showers and thunderstorms will be likely on Tuesday night in advance of the front, Wednesday, as the front edges slowly through the area, and Wednesday night as it stalls out just to our south along Interstate 80 by daybreak on Thursday. With the front stalled on Thursday there will be a good chance of more showers and thunderstorms, but they will come to an end on Thursday night as a secondary cold front catches the first front, and shoves it off to the east. That front will move though early on Friday bringing the Stateline some refreshing clean, clear air from Canada dropping temperatures back into the 70's from Friday through next Sunday. High pressure, which has been the dominate weathermaker for the Stateline for the past several days, is shifting slowly off to the east. It will still be close enough by to keep our skies clear overnight, and sunny on Sunday. With a warm southerly wind developing on Sunday, temperatures will soar to an unseasonably warm 90 degrees. The average high is 78 degrees. With the southerly airflow perstisting Monday into Tuesday moisture levels will increase, and dew points will rise making concitions more uncomfortable with high's still very warm.... in the upper 80's. With a slow moving cold front approaching, scattered thunderstorms may develop on Tuesday afternoon, and become more likely Tuesday night and Wednesday. The front will stall out on Wednesday night, across the Stateline, continuing the chances of thunderstorms overnight into Thursday morning. Drier air is expected to be moving into the area on Thursday afternoon diminishing chances of any more showers. High pressure will take full control of area weather on Thursday night clearing skies, and dropping temperatures back down into the upper 50's. Friday and Saturday will be dominated by a ridge of high pressure sliding across the area with sunny skies and comfortable temperatures in the mid to upper 70's. A strong high pressure system will continue through the weekend blocking any systems in the west from moving into the Great Lakes. Day by day temperatures will also begin to warm back into the upper 80s by early next week. By the middle of the week, however, the ridge will begin to break down and allow the jetstream to become more zonal (meaning winds moving from west to east). This will allow storm systems to track across the Midwest and into the Upper Great Lakes. As it looks now, a cold front will sweep through next Wednesday into Thursday. As it does, there could be a good amount of moisture that gets caught up with this system which could potentially lead to some heavy rains somewhere across the Midwest. After a quiet start to the 2010 hurricane season, the Atlantic is beginning to show a little more activity with Hurricane Danielle, Tropical Storm Earl and a couple more waves moving off the African coast. Danielle continues to gain strength this morning as it's now a category four hurricane. While it will continue to move into a more favorable environment the current track takes Danielle away from the U.S. coast. Tropical Earl continues to maintain its strength and will move a little further west than Danielle. As it begins to approach a weakening ridge, Earl is expected to intensify and is forecast to grow to hurricane strength within the next couple of days. It's current forecast will take it just north of Puerto Rico. Lastly, there's another tropical wave (area of low pressure) moving into the Atlantic that holds a pretty good chance of becoming a tropical depression within the next day or so as it continues to move to the west. Anyone with vacation plans to the Atlantic the next few weeks should pay close attention to the forecast! 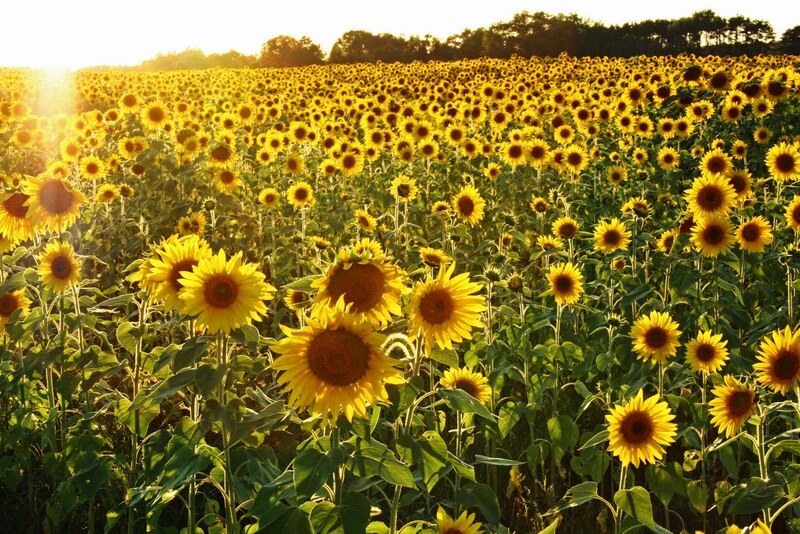 Thanks to Jenn Walker of Roscoe who emailed me these awesome pictures the other day of sunflowers in a field! The first one was taken Wednesday as the sun was beginning to set. The second one was taken during the afternoon. Look at how blue the sky is! I'm not even sure how to describe them! Beautiful would be one way, I guess! Forecasters knew storms were likely the afternoon of August 28th, but none had anticipated a major storm to move through northern Illinois. Storms started to develop along the Wisconsin/Illinois border around the noon hour and began to track south/southeast. As they did, brief tornadoes touched down around Pecatonica and Seward at 1:42pm causing minor damage. As the storms continued to move southeast, the atmosphere began to grow increasingly unstable. Supercells produced damaging winds along with large hail through portions of DeKalb and Kane counties. It was there that storm chaser Paul Sirvatka ( storm chaser and professor at the College of DuPage) observed the storm as it moved out of the DeKalb area and towards Sugar Grove. Instability and wind shear began to increase and produced four tornadoes in southern Kane county before it moved through Plainfield and Crest Hill producing an F5/EF5 tornado. Sadly, it wasn't until the tornado dissipated near Joliet that the first report came into the National Weather Service. Why was that? The storm chasers fell behind the storm and were never able to catch up with it. Since the storm was rain-wrapped they were not able to see it. As a result, there were no tornado watches or warnings. Even as the storm was moving into Plainfield residents still had no idea until it hit. So much in the field of meteorology has changed over the past 20 years. What was once a sparse network of spotters and radars has quickly bloomed to over 3000 people taking part in spotter training courses and a dense population of doppler radars. The Weather Service in 1990 was using 1974 radar technology which was based on 1957 radar design. Warning forecasters could only view the base radar on a TV monitor while what the radar operators could see had to be relayed through summary products or via phone. There was no way for forecasters to determine the presence of strong rotation which is indicative of a tornado. Now we have state of the art Doppler radar technology (which will be upgraded even further come 2011). It is of higher resolution, has more power, produces products for analysis of precipitation and can also detect wind motion within a storm. Communication has also improved between forecasters and emergency managers, the media and the public. NOAA weather radio transmitters have also increased to provide continuous forecasts. Just our general knowledge of storm formation has also improved through extensive research and training over the past several years! While there is still so much more to learn within meteorology, we have come very far since 1990! Even though temperatures the next couple of days will sit in the middle and upper 70s, they're really not going to fall all that below average. Our average high for today (Wednesday) is 80°. Highs this afternoon will sit around 77°. Tomorrow our average high drops to 79° - so we will only sit about 3-5 degrees below that before we warm back up this weekend. What you'll probably notice the most will be the lowered humidity along with the cool overnight temperatures. Temperatures upstream this morning were in the lower 50s and even the upper 40s! That's the type of airmass that will be sitting overhead tonight as the ridge of high pressure moves across the Great Lakes. We're going for a low of 52° tonight - June 7th we hit 53° and looking back even further, May 20th our low was 47°. Either way it will be a cool start Thursday morning. This weekend marks the 20th anniversary of the Plainfield tornado that devastated so many; killing 29 people and injuring another 350. Storms started across the Wisconsin/Illinois border and produced brief tornadoes around Pecatonica and Seward before moving southeast into DeKalb and Kane counties producing damaging winds and large hail. The storm continued to gain strength as it moved near Oswego and eventually through Plainfield. It was estimated that $160 million (in 1990) in damaged occurred; 470 homes were destroyed while another 1000 homes were damaged. This storm was very unique and unusual for many reasons. One, there were no tornado watches or warnings put out at all. Northern Illinois had been upgraded to a moderate risk but forecasters had no idea a storm was on the ground until it dissipated near Joliet! It hit at a time when children were leaving school and many coming home from work. The tornado itself was obstructed by low clouds and rain so no one saw it coming. It remains the only F5/EF5 tornado documented in the U.S. during the month of August. I was only 8 years old when the storm hit and don't remember too much of it. I did, however, go to school with someone who actually lived through the tornado and she said it was a day that she would never forget! She remembered getting home from school and the 'sky just turning very dark'. I think that's what actually inspired her to pursue a career in meteorology! This week we'll continue to take a look back and talk about the meteorological events that lead to this storm as well as how forecasting has changed within the past 20 years! If you would like to read more information on this, the National Weather Service has put together a very informative summary of this event. Not sure where this occurred, but sends chills down my spine every time I watch it! Just drives home the idea of how dangerous lightning is! 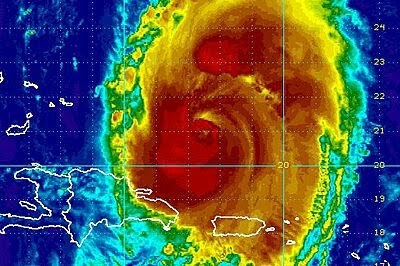 Danielle to Have Little Impact on the U.S. Tropical Storm Danielle continues to spin out in open waters of the Atlantic this morning moving west/northwest around 14 mph with winds of 60 mph. Current forecasts continue to have Danielle moving northwest (away from the US) over the next couple of days. The National Hurricane Center does believe that Danielle could form into a Hurricane within the next day or so as a sub-tropical ridge begins to break down. A Dry Week With Lots of Sunshine....Cool Wednesday & Thursday! Skies will be clear tonight as high pressure contiues to settle across the area. With clear skies light winds, strong radational cooling, and dew points in the low to middle 60's, there will be patchy fog development after midnight. Some fog may be locally dense, but it will burn off by 9 am on Monday morning leaving skies sunny. It will be a warm with highs in the mid 80's. A cool front will sweep across the area on Tuesday, and there may be some widely scattered showers, or an isolated t-storm in the afternoon.. Considerably cooler Canadian air will follow in behind the front so that temperatures will drop into the middle 50's on Tuesday night, and rise only into the low 70's on Wednesday. Skies will be clear and temperatures comfortable through Friday. The sunny dry weather will continue into the weekend, but a good warm up will be in progress over the weekend pushing temperatures back into the mid to upper 80's by Sunday. Weak high pressure over Ontario, Canada has nudged a weak cool front just to the south of the Stateline. Dew points on Saturday evening were still close to 70 degrees behind the front. With light northeasterly winds, clear skies, and high dewpoints... fog will form across many areas overnight. The fog may be dense, and as of 10 pm Saturday night DENSE FOG ADVISORIES have been issued for all of southern Wisconsin away from Lake Michigan, and for Jo Daviess, Stephenson, Carroll, and Whiteside counties in northwestern Illinois from 3 am until 10 am Sunday morning. The fog will form and thicken overnight, and cause visibilities to drop to less than one quarter of a mile, and drivers are advised to use caution approaching fog banks, be prepared to slow down, and use the low beams. The fog will last past daybreak, but is expected to be burned off by 10 am on Sunday morning leaving skies mostly sunny. Drier air will work in from the northeast on Sunday, so with light winds, lots of sunshine, and lower humidity, it will turn out to be a very nice day for late August with a high in the low 80's. High pressure will settle into Upper Michigan on Sunday night, so our region will have a clear night with comfortable temperatures. Sunshine will be with us again on Monday with the ridge of high pressure remaining across Wisconsin and Illinois. On Tuesday the ridge will shift off to the east as a new cool front pushes through the Stateline. The Gulf of Mexico will be cut off, so moisture with the system will be limited, and chances of measureable precipitation will be meager. A pleasantly cool early fall like air mass will follow in behind the front reducing high temperatures into the upper 70's on Wednesday and Thursday, and dropping overnight lows down into the 50's. Skies are expected to be sunny with a slow warmup into next weekend. Severe Thunderstorm Warning for Whiteside, Carroll, Jo Daviess and Stephenson counties until 3:05pm. Update 2pm: Severe Thunderstorm Watch for all of Northern Illinois until 8pm. A Severe Thunderstorm Watch has been issued for Green, Rock and Walworth counties until 8pm tonight. Storms are beginning to form across parts of western Illinois this afternoon and will continue to move northeast. While we'll be keeping an eye on these, we'll be keeping a closer eye to the north as storms in northeast Iowa will continue to move into Wisconsin later this afternoon and evening. The current environment that these storms would be moving into would support a threat of strong wind gusts and hail. Be sure to keep checking back for the latest information. The heat and humidity return to the Stateline. High pressure which provided the Stateline with an extended period of dry comfortable weather has shifted off to the east just to the north of New York State. A fairly strong pressure gradient will exist across the region today leading to brisk southerly winds running 10 to 18 mph with early afternoon gusts to around 25 mph. It will be a hot and humid afternoon with high temperatures approaching 90 degrees. Deep moisture from the Gulf of Mexico will push across the area ahead of the trough. That will lead to shower and thunderstorms development this afternoon. Showers and storms over northeastern Missouri and Iowa will push into the northwestern part of Illinois this afternoon, and may scatter as far east as Rockford later this afternoon. A thunderstorm complex is anticipated to be over Iowa tonight, and it will push across north central Illinois later tonight and early on Saturday. With lots of moisture in place, the trough of low pressure approaching, and an upper level disturbance moving eastward across Iowa overnight, locally heavy rainfall is possible. Widespread rains of an inch or more can be expected, with some area receiving up to two inches. Rain showers should end by mid-day on Saturday with the passage of the cool front. Drier air will move in behind the front, skies will become partly cloudy, and the high of Saturday afternoon will reach the mid 80's. On Sunday surface high pressure over Ontario will push a northeastern air flow across the region.. It will not be that cool, however, because warm high pressure will be building through the mid levels of the atmosphere. 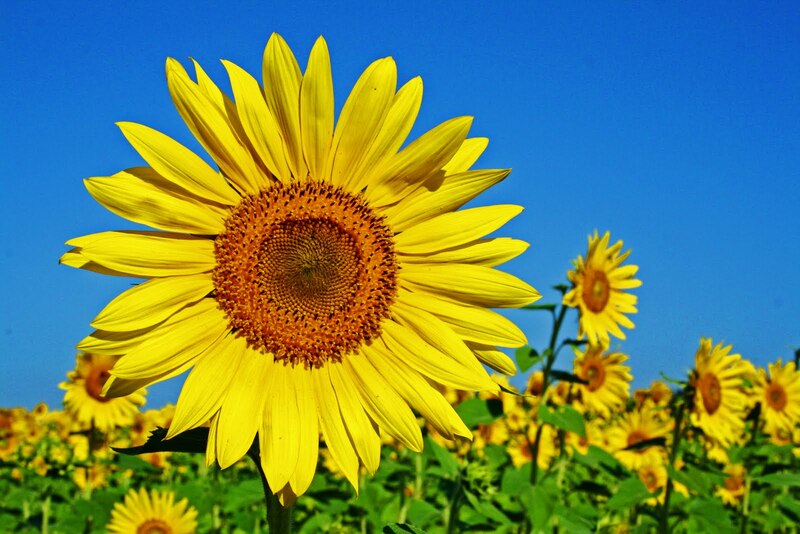 Sunday will be a sunny day with a high in the middle 80's. On Monday the ridge will be firmly in place and it will warm to the upper 80's under sunny skies. On Tuesday the next cool front will push across northern Illinois setting up the possiblity of some thunderstorms. A strong Pacific high will follow in behind the cool front on Wednesday bringing sunny skies to the Stateline Wednesday and Thursday along with mostly sunny skies and cooler temperatures. Cloud cover Tuesday afternoon kept temperatures across northern Illinois in the low to mid 70s! Our high temperature was 73°! The last time it was that cool was back on the 14th of June! While there have been a few upper 70s thrown in the mix, temperatures since then have been in the 80s and lower 90s. Highs today should be a little warmer with a little more sunshine this afternoon. The sunshine we had Monday was quickly replaced this morning by cloud cover thanks to showers in the southern and central Plains. A weak area of low pressure will remain south through a good part of today and tonight keeping the bulk of rainfall south of I-88. We will, however, be just on the northern fringe of that this afternoon and evening. We do have an area of high pressure at the surface over the southern Great Lakes that should hold the rain at bay for a little while, but as the low passes through southern Illinois we could see a few passing showers later today. Once that clears by Wednesday morning we'll be watching another low that will develop in the Plains and lift north by Friday as that will be our next shot at any type of rainfall. “Last month I sent a 'spot check' of June’s measured temperature anomaly at the Coal Creek Canyon, Colorado, co-op station compared to NCDC’s analyzed temperature departure map for the month. Interpolating the NCDC map to my location gave an analyzed departure of +4F, compared to the actual station departure of only +1.0F. On the map, Coal Creek Canyon is above the 2F contour, with an analyzed departure of about 2.5 or 3 degrees F. And the actual observed departure? 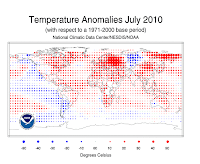 +0.3 degrees F. Once again, NCDC adds 2 or 3 degrees to the observed temperature anomaly. Could it just be this one station? No, since another mountain site with a long record about 15 miles to my north (Jamestown) had a monthly departure of -0.5F (yes, Minus). And the Denver airport site had +1.0F. The NOAA headlines announce this as the 2nd warmest July on record nationally, but at Coal Creek July came in 12th place, out of 28 years of record. July 2003 was 6 degrees warmer than this past July, and July 1992 (the year after Pinatubo) was 4 degrees cooler. Once again, the combined land and ocean surface temperatures made this July the second warmest on record, falling behind 1998, and the warmest averaged January - July on record. The global land surface temperature for January - July was the warmest on record. The global ocean surface temperature for July was the fifth warmest while the averaged January - July was the second warmest on record, behind 1998. You can find more information here. Finally... a strong Canadian front moved across the area. Temperatures were cooler this afternoon than recnt days, but this was not a major cool down. The high temperatures this afternoon were in the low 80's. The aspect of the weather that was really noticable was the lower humidity. Dew points have dropped from the low 70's to the middle 50's. Wow! That made for a much more comfortable afternoon with a brisk westerly wind gusting above 20 mph. The winds have died down tonight to 5 to 10 miles an hour. Skies are clear, and temperatures will bottom out near 60 degrees in Rockford. In fact, there is potential for a drop into the upper 50's across rural areas of north central Illinois. High pressure moving toward our area from the northern plains tomorrow will continue to pump Canadian air into the Stateline. Look for sunny skies on Monday along with high temperatures close to seasonal averages, around 80 degrees. On Monday night it looks like all of the area will see temperatures drop down into the upper 50's. A disturbance over the central plains could bring some scattered showers, and possibly and isolated thunderstorm to the area on Tuesday. Temperatures should top out in the low to middle 80's for the rest of the week. We Finally Catch a Break! For it seems like forever the Stateline has been on the northern edge of the massive high pressure area over the southern plains and the lower/mid Mississippi Valley. The area we found ourselves in what is called the "Ring of Fire". We have been close enough to the high to have a persistent period of above normal temperatures, but not excessively so. One of the main problems we have had has been the high levels of low level moisture. It has been fed in from the Gulf of Mexico, and wrung out in form of regular bouts of shower and thunderstorm complexes rotating around the Ring of Fire. In addition, it stayed very uncomfortably humid even without a flow of moisture in from the Gulf, because of the evapotranspiration of moisture from the over soaked soils, and the maturing corn and soybean crops over Illinois, Iowa, Missouri, Nebraska, Minnesota, and Wisconsin. The upper air pattern will change, for a few days at least with an upper low developing into the Hudson Bay area, and the massive hot high fading a bit off to the southwest. This change will allow a northwesterly air flow to develop out of Canada for the next few days. It will be cooler, and less humid. Daytime temperatures will be around 10 degrees cooler than they have been by Monday, and night-time lows may even drop into the 50's for a couple of nights before the middle of the week. Not much rain is expected during the next 7 days. Welcome relief is on the way. Dew points will drop from the low 70's on Saturday night to the upper 50's by Sunday night. Air conditioners will get a chance to shut off for a while, and you will feel a whole lot more comfortable by Sunday evening. Enjoy it while it lasts. Weather patterns like to revert to what has been persistent, so we may very well be quite warm again before the end of August. If the heat Thursday was a little too much for you to handle, just think of northwestern Montana this morning. A Winter Weather Advisory if in effect until noon (MDT) for 1-2" of snow for elevations above 7000 feet! A Flash Flood Watch has been issued for Stephenson, Jo Daviess, Carroll and Whiteside counties beginning this evening and lasting through Saturday morning. The showers that are moving through northwest Illinois this morning are out ahead of the main system that is still in the northern Plains. Thunderstorms will be likely later today across parts of Iowa and will move east later this evening. There is a lot of moisture in the atmosphere that would allow these storms to be efficient rain producers. Trends will continued to be monitored through the day and we will update you as needed through the afternoon. Things are pretty quiet, although muggy, this morning across most of northern Illinois and southern Wisconsin. A line of showers with a few embedded thunderstorms developed out in eastern Iowa early this morning and have slowly been moving east and are now just along the Mississippi River. Watching the last couple loops of the radar and it looks like this line is beginning to weaken some as the lightning strikes have decreased. Either way there will be a few showers (some with heavy rain) to the west this morning. Behind that line things will begin to heat up again into the afternoon. If we keep the clouds around that may help to hold the humidity down some with highs near 90°. The Storm Prediction Center out of Norman, OK has issued a slight risk of severe weather from Wisconsin and Minnesota down through Kansas for Friday. This does include the western portion of the Stateline area, namely Stephenson, western Winnebago, western Ogle, and far northwestern Lee counties. The main threat will be high winds around here. Hail is possible as well, but I don't expect hail to be any larger than marble size if anything. In fact, I'm a little skeptical of severe weather in the first place because most of the upper level energy needed to produced long-lived lines of storms will probably remain to the north of us. And any severe weather on Friday won't make it here until late at night. "Beat the Heat...Check the Backseat!" "Beat the Heat...Check the Backseat" is a slogan the National Weather Service is using to remind people to be sure they remember small children who may be in a car seat and to never leave a child unattended in a vehicle - even for a few moments! Heat is the number one related weather fatality every year with children and the elderly being the most at risk. Did you know that heat stroke can occur in only a matter of minutes, particularly in children? Their body temperatures warm at a rate 3 to 5 times faster than an adult's. In the last 12 years, 475 children have died nationwide from heat stroke suffered while in a vehicle. So far this year, 29 children nationwide have died! Temperatures inside a vehicle can rise very quickly within only a matter of minutes. For example, take an outside temperature of 80° and within 20 minutes the temperature inside a vehicle rises to over 100°. In an hour the mercury can reach as high as 123°. - Always lock your car and be sure children don't have access to keys or remote entry devices. If a child is missing, check the car first! A lot of this information is based on research by Jan Null, a Certified Consulting Meteorologist. Find out more information here. Fire Chief Derek Bergsten and Division Chief Matthew Knott made sure that Rockford met or exceeded all of those requirements. Rockford is one of 46 communities in Illinois that have become StormReady communities. 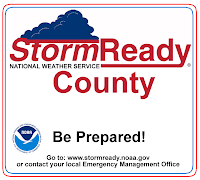 For more information on how to become a StormReady community, click here. If you can't stand the heat, well you're just out of luck for the next couple of days. We have been on the northern dome of some fairly significant heat that has been building in the south. Pretty much the whole month of August temperatures have hit 90° or above through the central and southern Plains and 18 states remain under some type of heat advisory or warning! With a warm front lifting north today the heat will begin to expand into the Great Lakes region. While our actual highs aren't expected to near the triple digit mark , any lack of cloud cover will help temperatures reach the low to possibly mid-90s Thursday and Friday afternoon. That combined with dew points in 70s will certainly make it feel close to 100°. Things look to be changing as we head into next week, however. The ridge that has been in place for the past week and a half will quickly be replaced by an upper level trough that will knock humidity values down and keep temperatures in the tolerable range of the low 80s. According to the Climate Prediction Center La Nina conditions developed during this past July as negative sea surface temperature anaomalies strenghtened across the central and eastern equatorial Pacific Ocean. Nearly all climate models predict La Nina to continue at least through early 2011. However, there are some uncertainties as to the actual strength. But since strong cooling has been observed over the last several months - predictions are that La Nina conditions are expected to strengthen and last through Northern Hemisphere Winter 2010-2011. So what does this mean for us? A blocking high pattern begins to set up where low pressure systems in the mid-latitudes tend to be weaker than normal in the Gulf of Alaska. This tends to build up colder than normal air over Alaska and western Canada allowing the cooler air to spill into the northern Plains. The southeastern U.S becomes warmer and drier than normal while the Great Lakes are stuck in the middle. Amazing video of a tornado that moved through Wilkin County, Minnesota over the weekend. Light rain showers continue to move south of the Stateline this morning with another line moving into northeastern Iowa. This line may hold together as it continues to move southeast over the Mississippi River and clip us on the northern edge. So the going forecast for keeping a few showers will continue until mid-afternoon. Any development later this afternoon looks to be low thanks to the fact that the storms that moved through earlier this morning have really helped to stabilize our atmosphere. The outflow boundaries will continue to move southward and be the primary focus for storms south of the Stateline this afternoon. (7:11:03 AM) nwsbot: DVN: Stockton [Jo Daviess Co, IL] co-op observer reports HEAVY RAIN of M3.43 INCH at 07:00 AM CDT -- 24 hour total. (7:11:02 AM) nwsbot: DVN: Apple River Canyon S. P [Jo Daviess Co, IL] co-op observer reports HEAVY RAIN of M3.54 INCH at 06:30 AM CDT -- 24 hour total. (6:38:55 AM) nwsbot: DVN: Elizabeth [Jo Daviess Co, IL] co-op observer reports HEAVY RAIN of M2.86 INCH at 06:30 AM CDT -- 24 hour total. (6:38:55 AM) nwsbot: DVN: Galena [Jo Daviess Co, IL] co-op observer reports HEAVY RAIN of M2.94 INCH at 06:30 AM CDT -- 24 hour total. (5:35:41 AM) nwsbot: DVN: 6 N Shannon [Stephenson Co, IL] public reports HEAVY RAIN of E1.00 INCH at 05:34 AM CDT -- event total past 12 hours. (3:25:14 AM) nwsbot: MKX: Edgerton [Rock Co, WI] law enforcement reports TSTM WND DMG at 02:50 AM CDT -- utility pole bent at 30 degree angle. 2:50am Update: A line of storms continue to move east around 45mph and should be moving through the Rockford, Janesville, Beloit area within the next 45 minutes. Gusty winds and heavy rainfall can be expected. Severe Thunderstorm Watch for Stephenson, Jo Daviess, Carroll and Whiteside counties in Northern Illinois and Green and Rock counties in Southern Wisconsin until 5am. 2:15am Update: A line of strong storms continue to move across portions of Wisconsin and Illinois this morning. Heavy rain, gusty winds and frequent lightning can be expected as these storms move through. The line appears to be weakening some as it continues to move east, but looking a little further to the west more storms are developing on the nose of the low level jet. A huge hot high pressure dome continues to be well anchored over areas to our south. The Stateline is situated on the northern edge of a large area of blistering heat. Our region is in the zone of the so called "Ring of Fire". Our dew points have risen into the 70's, and it looks as if they will remain there for the entire work week. So, disturbances that move along the periphery of the high have a tremendous amount of moisture to work with. A thunderstorm complex fired up over southeastern South Dakota, eastern Nebraska, and western Iowa earlier this evening. It quickly evolved into a "Derecho" or "Bow Echo". Bow echoes typically produce wind damage. This feature has been moving almost due east across the northern two thirds of Iowa between Interstate 80 on the south edge and the Minnesota border on the north edge causing wind damage as it moves to the east at a fairly rapid chip of 45 miles and hour. A new SEVERE THUNDERSTORM WATCH has been issued for portions of the Stateline until 5 am. Counties included in the watch include, Jo Daviess, Stephenson, Carroll, and Whiteside. As of 11 pm cdt the bow echo continues to push eastward arching across Mason City, just to the west of Waterloo, through Marshalltown, and then back to the southwest through Des Moines. It appears to be holding it's intensity as it continues to move toward northwestern Illinois producing thunderstorm winds gusting to more than 60 miles an hour. The FirstWarn Weather Team will continue to monitor the evolving thunderstorm complex as it gets closer to the Stateline. Heavy rain continues to move through Carroll and into Whiteside county as of the 11am hour. Watch for a few more showers within the next couple of hours, but we could see one or two storms develop this afternoon. One thing that is of concern to me as we finish with this rain and head into this upcoming week is that we will have another stationary boundary set up right across the Stateline. This will continue to bring us the rain chances at least through the middle of the week. Now as the local rivers are starting to recede, we've managed to squeeze out close to two inches of rain across parts of Stephenson and Jo Daviess counties - the areas hardest hit from a couple weeks ago - just within the past couple hours. We will be watching things very closely the next couple of days, as should you, for the potential of flooding. Skies will be partly cloudy overnight, and it will be seasonally mild with a low in the middle 60's. An expanding area of strong to severe thunderstorms over Minnesota and northern Wisconsin is expected to fall apart as it moves southeast overnight before is crosses the Wisconsin/Illinois border. However, a couple of stray storms may reach areas to the northwest of Rockford late tonight or early on Sunday morning. Those decaying storms will lay down an outflow boundary across southern Wisconsin or extreme northern Illinois that will serve as a focus for thunderstorm development on Sunday afternoon or early evening. It will become hot and more humid with a brisk southwesterly breeze on Sunday.with an afternoon high temperature near 90 degrees. There is a slight chance of thunderstorms in the afternoon and a better chance Sunday night. There is a slight risk that some of those storms may become severe. It will be a hot and humid week with daily chances of afternoon and evening thunderstorms. There will be a better chance in the overnight periods with nocturnal thunderstorm complexes developing over northwestern Iowa, or eastern South Dakota in evening, and then moving southeast toward eastern Iowa, southwestern Wisconsin, and northern Illinois by the late night hours. Hurricane Season About to "Amp-up"
While we'll start to see a little break from the heat and humidity the next couple of days, it could be coming back in full force next week! A pretty significant trough will begin to dig out west forcing a ridge to build across two thirds of the nation. This will all begin Saturday night and last pretty much into most of next week. There will be a couple things we'll be watching as we go into the weekend that may keep temperatures from getting too out of control. First would be the potential for cloud cover from any storms that may fire up, especially if the jetstream sits more overhead than further up to the north. While it would keep temperatures down, the humidity would still be up. Just think about, a lot of areas here have had significant amounts of rain. Any type of heating would cause that moisture to evaporate into the atmosphere creating a very sticky situation. Second, if the jetstream doesn't move as far north as some of the weather models are predicting and does sit more overhead the bulk of the heat would then be shifted further to the south. Either way this is the pattern we've been seeing the past couple of days so I'm going to take it and run. Enjoy the comfortable weather while we've got it. The heaviest of the rain continues to move to the east this morning with a few rumbly showers lingering over parts of Ogle, Lee and DeKalb counties. All severe weather warnings have been cancelled, but a Flash Flood Warning remains in effect for Ogle and northern Lee counties until 10am. The storms that moved through this morning should help keep the stationary front south of the Stateline and that will be the focus for new thunderstorm development later this afternoon/evening. It's still going to be another humid afternoon with temperatures in the mid 80s. (7:37:07 AM) nwsbot: LOT: 3 Wsw Polo [Ogle Co, IL] emergency mngr reports HEAVY RAIN of M1.27 INCH at 07:32 AM CDT -- 1.27 inches this morning. backyard flooding with buffalo creek out of its banks. near south freeport and milledgeville roads. (7:32:19 AM) nwsbot: LOT: Polo [Ogle Co, IL] emergency mngr reports TSTM WND DMG at 05:14 AM CDT -- 4 inch diameter tree snapped off at base. time approximated from radar. Northern Lights in Northern Illinois? It's a possibility late tonight and tomorrow night! 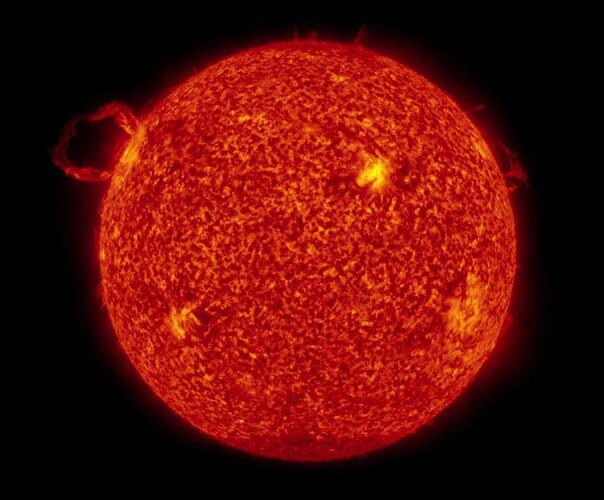 Although we'll be on the southern fringe of the display, a strong solar flare on Sunday night has scientists buzzing of a possible display of the Aurora Borealis (commonly called the Northern Lights) from the north pole down to the northern United States. 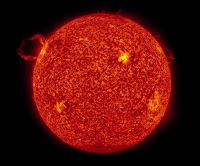 An ejection of plasma from the flare (shown above, courtesy of FOXNews.com) will send solar particles into the earth's magnetic field. These particles will collide with nitrogen and oxygen atoms, releasing energy that can be seen as a glow of neon-like lights on the northern horizon. The lights are often green or red in appearance, and take-on a curtain-like shape. If you think it's been hot here the past couple of days, just head to the south where highs this afternoon are expected to reach the triple digit mark! Heat Advisories as well as Excessive Heat Warnings have been issued for almost all of the south from central Illinois down to the Florida Panhandle. A big ridge of high pressure sits along the gulf forcing the jetstream northward over the Great Lakes. This also sets up the 'ring of fire' effect. In order to get storms to form the air above us has to be cooler than the air at the surface; otherwise the air won't rise. The atmosphere underneath high pressure is usually capped (meaning it's just too warm to get storms going) but along the outer edge there's just enough instability to help storms develop and keep them going. This has pretty much been the pattern all summer long and until the ridge begins to break down, which looks to be about Thursday, we'll continue with our daily rain chances. What was once a tropical cyclone yesterday has gained a little more strength over the past several hours and has now been named Tropical Storm Colin. TS Colin continues to move to the west/northwest around 35kts and is forecast to move into a little more of a favorable environment for at least some strengthening within the next few days. After that wind shear from an upper level low over the Atlantic should begin to have an impact on the storm. The official forecast from the National Hurricane Center is for Colin to strengthen some over the next 36 hours followed by a leveling off of intensity. Currently, none of the forecast models bring Colin up to hurricane strength over the next week. For the current path of Tropical Storm Colin click here. Rain showers, heavy at times, continue to fall this morning across much of northern Illinois. A lot of the heavy rain now is falling just south of Chicago. Look for rain to end west to east later this morning with some clearing later this afternoon.